When it comes to summer essentials a killer pair of denim shorts can accommodate almost any summer adventure. Distressed denim is my absolute favorite, allowing me to skip the dreaded "break in" process and jump right to their "lived in" appearance. Below are a few important things to consider when purchasing your next pair of stylish Daisy Duke's. For petite girls, it's important to avoid long Bermuda shorts, which tend to make you look shorter than you are. Instead, opt for bottoms that hit mid-thigh and pair them with a simple wedge for an elongated look. The opposite applies for tall girls. When purchasing cuffed shorts be sure the cuffs aren't too tight. I tend to always go up one size larger for a more flattering and comfy fit. To show off your curves and maintain your shape, tuck in your top and style your summer shorts with a vibrant belt like this one. To avoid looking like a club rat, shy away from pairing frayed denim shorts with sky high stilettos. The combination will undoubtedly result in unwanted attention. For optimal wear-ability think about your existing wardrobe when purchasing different washes. Dark washes pair better with light colored tops, while light washed denim works best with darker tones. When caring for your denim be sure to wash them on a cold delicate cycle and inside out. Hang dry to avoid unraveling of the fray and to maintain their original color. 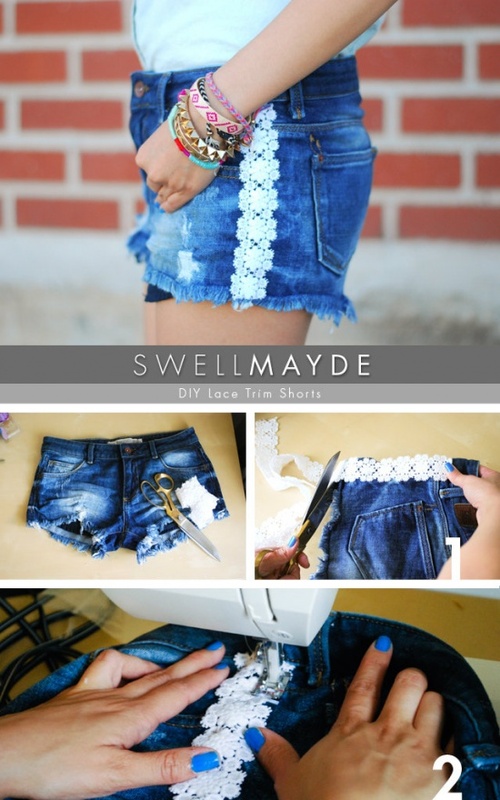 Something Extra: Looking to reinvent an old pair of denim shorts? 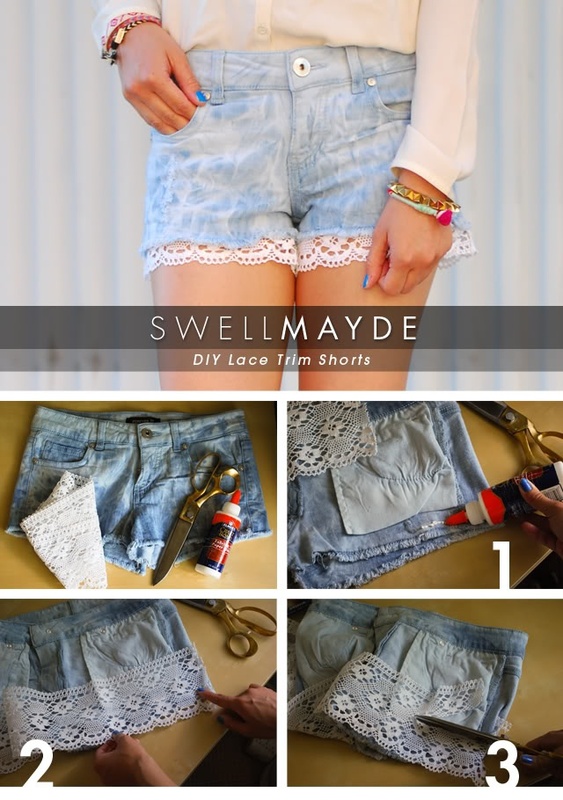 Consider channeling your inner crafter and give your old shorts a lace infused makeover. For step by step instructions click here and here! Beautiful as always, Anna. Love the lace details. Very cute shorts! love them! Did you make this web site yourself? Please reply back as I'm looking to create my very own blog and want to know where you got this from or what the theme is called. Kudos! Qué bien el short, es un cambio muy chic, me gusta, besos,ana. Such a cute photo shoot! Your outfit is adorable! I love denim cutoffs, but I dont really wear them because theyre not so flattering on me! Oh, well! Great tips though! Have a great weekend? Thanks for the wonderful tips! The shorts you are wearing are gorgeous! wow so pretty. i love your look. the shorts are fantastic. I really like your jewelries as well! You asked if we could follow each other? Of course I'm following you now. Love this! Denim shorts are SUCH a summer staple...and can be dressed up or down. A must for any girls wardrobe! Love these typ of shorts with the lace details. You style it perfectly and I love also the amazing pictures. Totally love your shorts! Thanks for the DIY options! Love your shorts and your shoes. You look so cute! Have a great weekend. I love these pictures! I can't wait for shorts weather. If it ever comes... You look great Anna. I've been seeing a lot of those Lacey shorts and I think they're adorable!!! Your distressed shorts are so cute!! beautiful outfit! i'd wear this! Oh my gosh, I love everything about your outfit!! The shorts are super adorable. thanks for the helpful tips! You look beach ready! I love your outfit. I'm definitely a short girl that likes a short not too short but not bermuda short length with a cuff. I like how they have shorts that cater to every need. 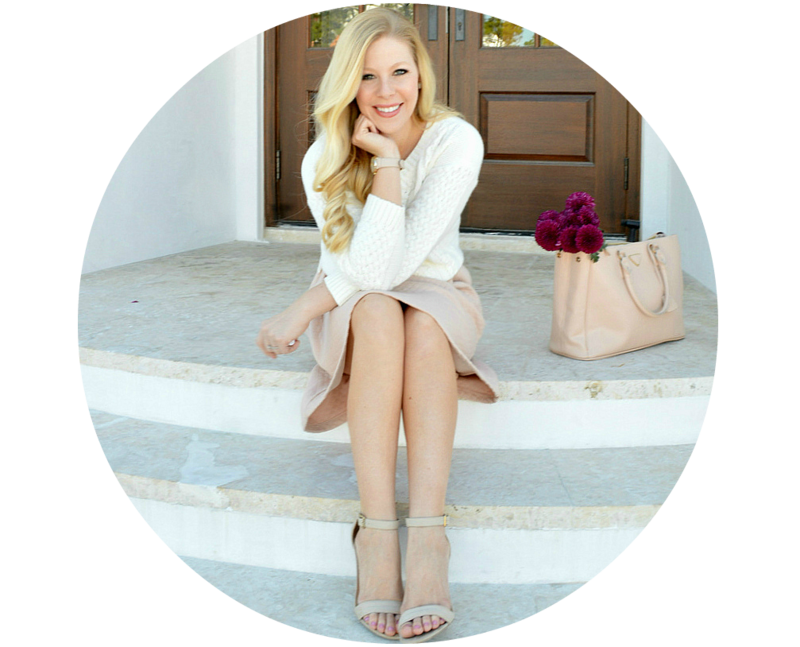 Don't forget to stop by and enter my stella & dot giveaway. Such a cute look, I love the beach pictures! What a cute Summer outfit! Your tips are awesome and I love that you added a DIY! Gorgeous photos girl! And I love the white peplum with your cut offs. Have an amazing weekend! wow stunning! Love the shorts! Love those shorts and your tips were really helpful :) These photos are all so beautiful! I'm planning to do a short like this :D:D great shoes!!! These shorts are ADORABLE! I love your lace ones better than any of the ones you posted! I've been looking for a good guide to shorts :) I'm really digging the lace/denim trend so I'll have to find time to DIY my own pair! Love Nicole Richie & Kristin Cavallari's style for denim shorts ! love those... I wear them a LOT when I'm in Miami like now... so convenient and easy to style ! You look so Cali and carefree! Love the lace detail and those flats are amazing. Fabulous pictures! Love how you style those denim shorts. Great post! Love the denuim shorts & so jealous that you are at the beach! I may have to DIY an old pair of jeans to the shorts. Love the inspiration. Thanks for stopping by my blog! I adore this whole outfit! The shoes are perfect! Great outfit Anna! The details on your shorts are adorable!! The shorts you are wearing are really pretty! Love those shorts! Your shoes and top are also super cute, and the shorts you've linked are adorable. I basically live in shorts, so it's always fun to see new options. Been looking for a new pair of denim shorts so this post is perfect for me!!! The ones you are wearing are lovely! Love these photos and your tips! You are so cute! Lovely shorts and rings Anna!! Love this post! 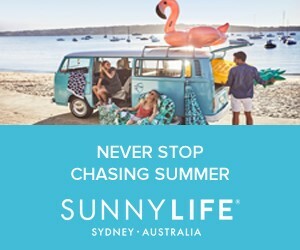 It's perfect for summer!! I love shorts! They are essential pieces in my wardrobe! So cute, love the girly detail of the lace! Loving this trend, Anna! You look so gorgeous! Love these photos of you!!! The first picture is awesome! As usual, i want like every last thing you're wearing so my dream shopping list just got longer, but aside from all that i wanted to tell you how much I LOVE these pictures! Such beautiful lighting and a gorgeous location. You look stunning. Love the shorts and pictures !!! great post !!! I'm loving the DIY options & with booties is always the way to go :).